One-stop destination for Commercial & Domestic interiors. 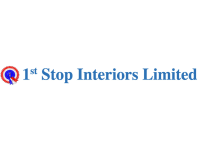 If you require interior solutions for your office or any other commercial building, contact 1st Stop Interiors Limited in Cornwall. We provide ceilings, partitions, blinds and flooring solutions throughout Cornwall and South Devon.